My first attempt at creating mashed cauliflower was unsuccessful, as I decided to roast the florets before mashing. The consistency was no where near as smooth and creamy as I’d hoped it would be. This discouraged me from attempting a second time, until I saw an episode of Trisha Yearwood’s show on Food Network. Art Smith made a guest appearance to show his recipe for mashed cauliflower. Instead of roasting the florets, he boiled them until they became extremely tender. I had to try this technique for myself! My heart was once again set on achieving that perfect mashed potato consistency through the health benefits of cauliflower. Dairy option. Part of sticking to my New Year resolution includes staying clear of dairy. Unfortunately for me, that includes yogurt and cheese. If you are eating dairy, swap the butter in my recipe for 1 tablespoon of non-fat plain Greek yogurt. This will give the dish a creamier consistency. Also, feel free to add 2 tablespoons of grated Parmesan, or your cheese of choice, to give the dish more decadence. Add more herbs. I served my mashed cauliflower as a side dish to turkey meatloaf covered in a tomato/mustard sauce. 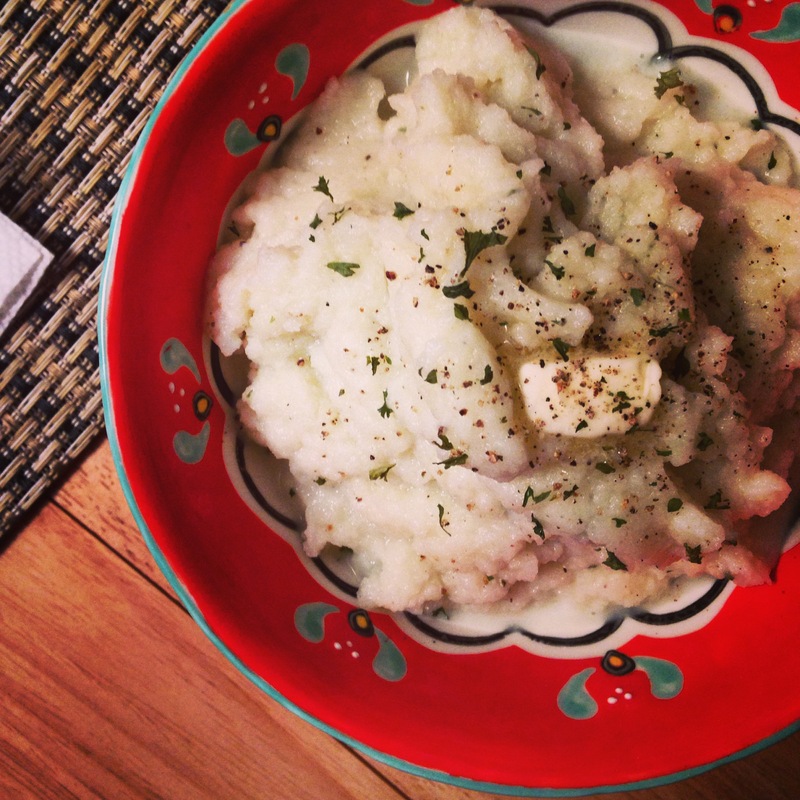 As I knew my mashed cauliflower would be sharing this sauce, I wanted to keep the flavors fresh yet neutral with a small amount of parsley. 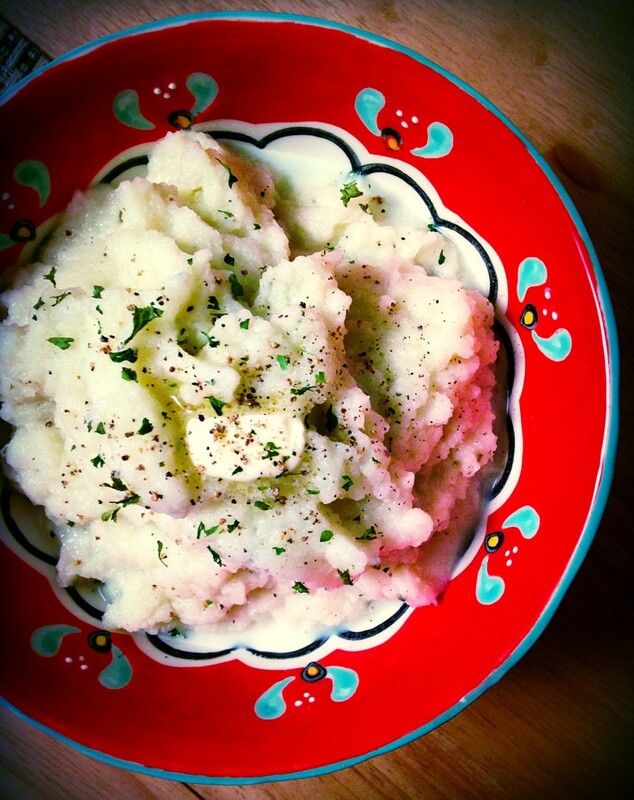 If you want to add more/different herby flavors to your mashed cauliflower, do so! Go for rosemary, chives, or a combination of your favorites. 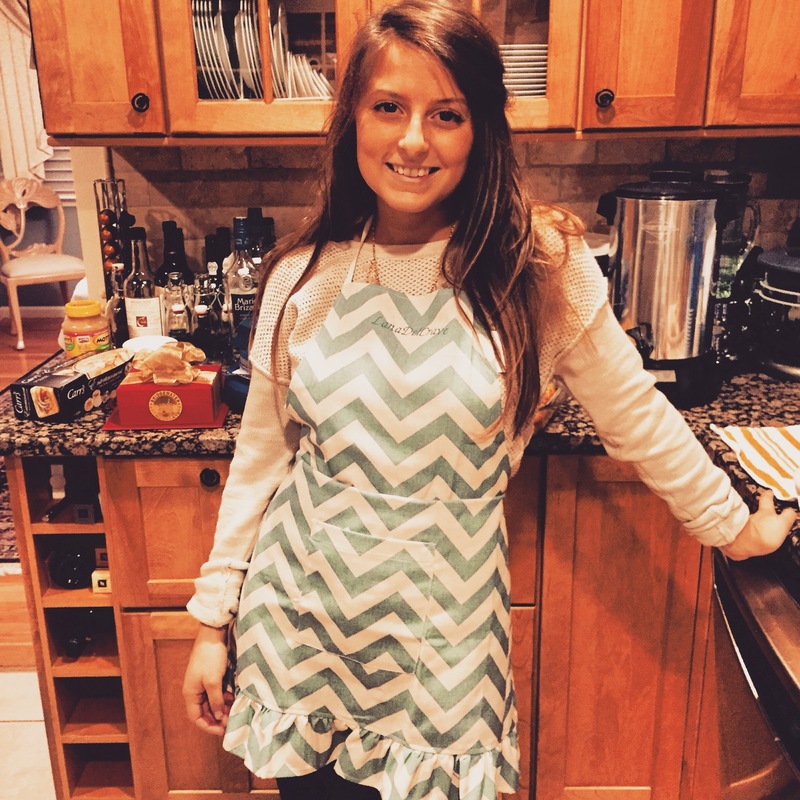 Bring a medium sized pot of water to a boil atop the stove. With a pinch of salt, add the chopped cauliflower florets. Cook until extremely tender, about 10-15 minutes. You'll know the cauliflower is ready once you stick a fork in the largest piece and it slides right off. Drain the tender cauliflower. While the florets are still warm, add them to food processor with garlic, and butter. Process until you've achieved your desired consistency. Stir in the salt, pepper, and dried parsley. Top with additional pepper, parsley and butter, if desired.